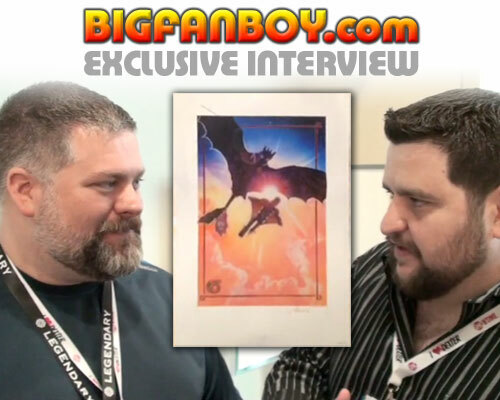 Video interview: Dean Deblois talks HOW TO TRAIN YOUR DRAGON 2, win a Comic-Con exclusive poster! Over the summer I got a chance to reunite and spend some time hanging out with the wonderful Dean Deblois, who then and even now is busy working on HOW TO TRAIN YOUR DRAGON 2. Dean co-directed the first film as well as LILO & STITCH, and has worked on productions like MULAN and ATLANTIS, among others. Once he finishes HOW TO TRAIN YOUR DRAGON 2, he immediately starts working on HOW TO TRAIN YOUR DRAGON 3, so he’s sure to be a busy man for the foreseeable future. At this year’s San Diego Comic-Con, Dean showed up to screen some early footage from the new film, and also to show support of the documentary DREW: THE MAN BEHIND THE POSTER (which focused on the legendary movie poster artist Drew Struzan). While he was there I got a chance to do a quick catch-up interview with him and talk a bit about the new film. In the second installment, our hero “Hiccup” (voiced by Jay Baruchel) has grown up a bit, and still spends his time hanging with his dragon “Toothless.” When a new threat arises, Hiccup and Toothless must once again jump into action. 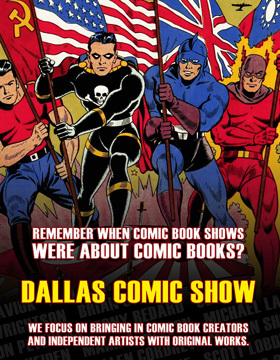 Check out our interview here, followed by info on how you could win a very cool poster. 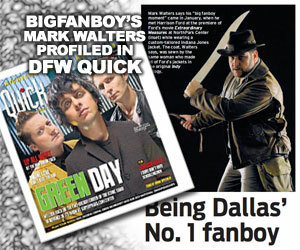 My thanks to Brian McQuery for shooting this. Since one of the reasons Dean was out and about at this year’s San Diego Comic-Con was to show support of Drew Struzan, it was also fitting as Struzan had done a special exclusive poster for HOW TO TRAIN YOUR DRAGON 2 which you could only get at the show by attending the panel promoting the film. Why is that a big deal? Okay, look, Drew Struzan is retired, so getting any sort of new poster by him is pretty amazing. Then there’s the fact that only 2000 posters were made, and they were gone in an instant. Well guess what? We have some, and Dean signed them, and that’s even cooler because most who got them at the show didn’t get them signed. We want these to go to a few lucky winners, so here’s the deal – watch the interview with Dean above and tell us what did Dean wanted to give Hiccup in the second movie, “An element of ____” – fill in the blank and give us the answer. Just send us an e-mail and give us the correct answer. Contest is open to U.S. residents only. Make sure to include your shipping address with your e-mail. Contest ends on December 31, 2013. One entry per household – all duplicate entries will be deleted. Get those entries in a good luck!